TAC or Terms and Condition, Disclaimer of JPT Exams Team (JPT.com.np). Please read these Terms and Conditions carefully before using/visiting this blog JPT Exams (jpt.com.np). Throughout these Terms and conditions words used like "I","me","us", "we", or "our" means the owner of this site which is operated by JPT EXAMS TEAM. All your access and use of the service is conditioned on your acceptance of and compliance with these Terms. These Terms apply to all visitors, users and others who access or use the Service or visit. When you create an account with us, you must provide us information that is accurate, complete, and current at all times. Failure to do so constitutes a breach of the Terms, which may result in immediate termination of your account on Service. Our Service may contain links to third-party web sites or services that are not owned or controlled by JPT Exams Team. JPT Exams (jpt.com.np) has no control over, and assumes no responsibility for, the content, privacy policies, or practices of any third party web sites or services. 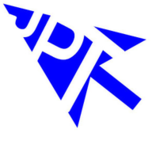 You further acknowledge and agree that JPT Exams (jpt.com.np) shall not be responsible or liable, directly or indirectly, for any damage or loss caused or alleged to be caused by or in connection with use of or reliance on any such content, goods or services available on or through any such web sites or services. We may terminate or suspend access to our Service with your existing accounts immediately, without prior notice or liability, for any reason whatsoever, including without limitation if you breach the Terms. We reserve the right, at our sole discretion, to modify or replace these Terms at any time. If a revision is material we will try to update you via our blog post or notification to any new terms taking effect. What constitutes a material change will be determined at our sole discretion. 'JPT Exam Team' is a group of Experienced IT Expert, Teacher, Technical and Administrative Government Officeres who write, consults and provides authentic Loksewa Preparation materials like Quiz of Section Officer , Quiz of Staff Nurse, ANM Exam and so on. Hello, thanks for landing on JPT Exams. We share reliable Quiz, MCQs and GK for LokSewa Exams Preparation.